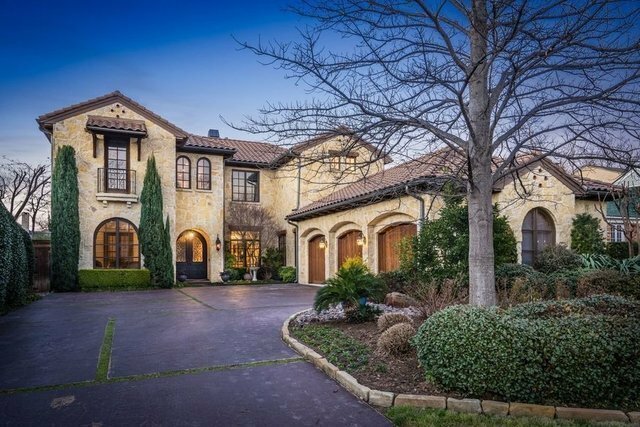 Mediterranean masterpiece in Preston Hollow.Entertainer's dream with spacious living and dining areas, climate controlled wine room and bar. Wonderful kitchen with Thermador gas cooktop, three ovens, pot filler, large island, dual dishwashers, plus open concept to living and second dining area - all overlooking stunning back patio with kitchen, fireplace, extensive patio, built-in grill, and refrigerator, pool and spa. Amazing study with built-ins on the first level.Master suite has a sitting area, fireplace, large jetted tub, oversized shower, and his and hers closets. Downstairs private guest suite. Game room with custom wet bar, fridge, and icemaker, plus three additional bedrooms on the second level.